If you have an acrylic sheet you know how great they are in terms of durability, safety and endless uses. However a frequently asked question regarding the acrylic sheets is how to get rid off fine scratches. The solution depends upon how much damages there actually is, however in most cases, they can be removed relatively quickly. Here are my handy hints to get your acrylic sheets looking as good as new with little effort. Before you even begin however, you may want to check with you are actually dealing with acrylic sheets in the first place. Acrylic is a commonly utilised product used in fish tanks, picture frameworks, splash backs, furniture and of course acrylic mirrors. If your scratched plastic is clear in colour, then it’s safe to say that it is most likely acrylic or polycarbonate sheet. Now it is easier to remove scratches from acrylic as opposed to polycarbonate, so you might not have to work a little bit harder to remove the damage caused on your polycarbonate sheet. Lighter scratches can easily be buffed out. To get rid of light scrapes in your acrylic, you’ll need some acrylic or plastic polish as well as 800 and 1200 grit sandpaper and water. Firstly wet the 800 grit sandpaper, run it over the marked location and make small circular movements. Use a dry 800 grit sandpaper and make more circular movements and repeat the process of wet and dry sandpapering for around 3 minutes. Your acrylic may look icy or have more scrapes on it however this is simply an effect of the procedure. Next get a 1200 grit sandpaper and repeat the very same process until all of the scrapes have completely vanished. Lastly, dry the area with a cotton cloth and apply the acrylic gloss. Your acrylic sheet will look brand new! If the scratch is deeper than 5mm, it’s possibly not worth even starting as it’s unlikely to rub out. Also, if the scrapes cover greater than 30% to 50% of the area, or of the polymer is very old, the price of replacing the item or pane of acrylic probably will be easier than trying to fix it. However if you do want to give it a go, firstly examine the depth of the scrape by simply running over it with your finger nail. If it catches, you can consider it a deep scratch and can begin the process of trying to remove it. While the process is similar to the one above, this time you’ll start with 600 grit sandpaper. As before, damp one piece of 600 grit sandpaper and using a circular motion go over the required area, alternating with a completely dry for around three minutes. Next, repeat the entire process, but this time use a 800 grit paper, alternating with the 1200 paper for a more couple of mins until the scratches have been removed. Dry the location with a clean cloth and afterwards recover the lustre with the acrylic polish. You can restore the glossy lustre of acrylic by fire polishing thin sheets of acrylic (anything listed below 4mm thick) and sanding or buffing the sheets. A less labour-intensive as well as quicker option is to select a top quality acrylic polish which will preserve your acrylic sheet. 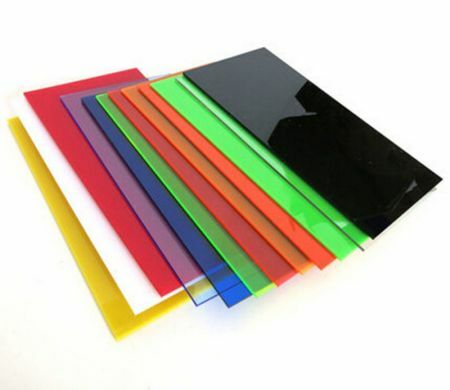 If you would like further advice or have any questions on your repairing or looking after your acrylic sheets, or for acrylic sheets for use elsewhere simply call Perth’s premier distributor of acrylic sheets – CDC Laser Cutting. Shelving, picture frames, kitchen splash backs, light boxes, mirrors, displays, signs, the possibilities are endless and CDC Laser Cutting are experts in cutting acrylic sheets using superior equipment, exceptional know-how and quality materials.